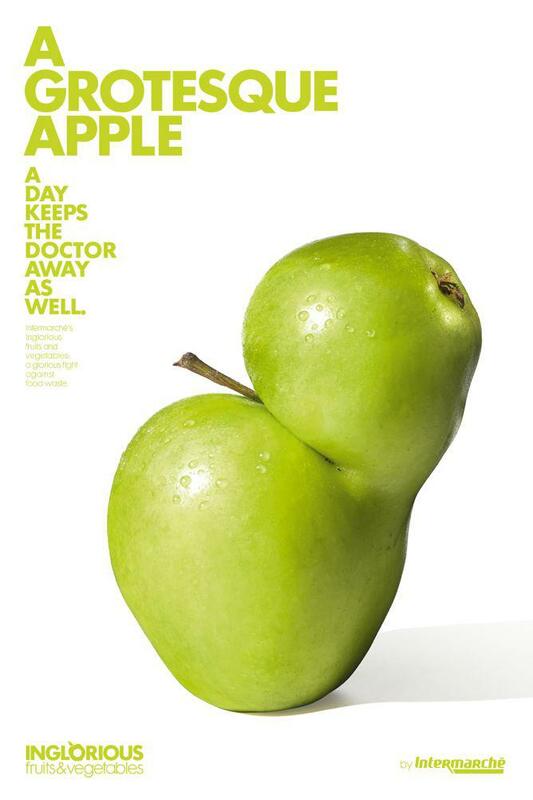 Inglorious Fruits and Vegetables is a clever campaign to reduce food waste by making ugly produce more endearing. Groceries Often Reject Ugly Carrots and Grotesque Apples. This Campaign Celebrates Them. 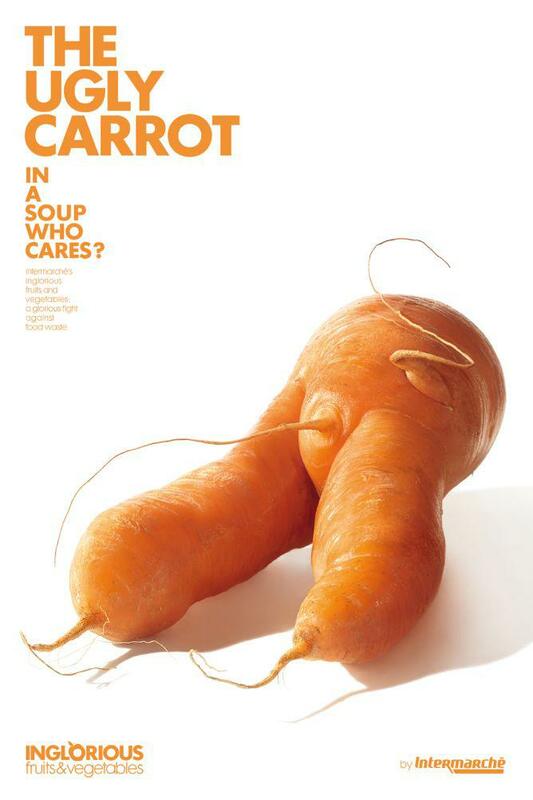 The ugly carrot is one of the Inglorious Fruits & Vegetables featured in a supermarket campaign to lower food waste. 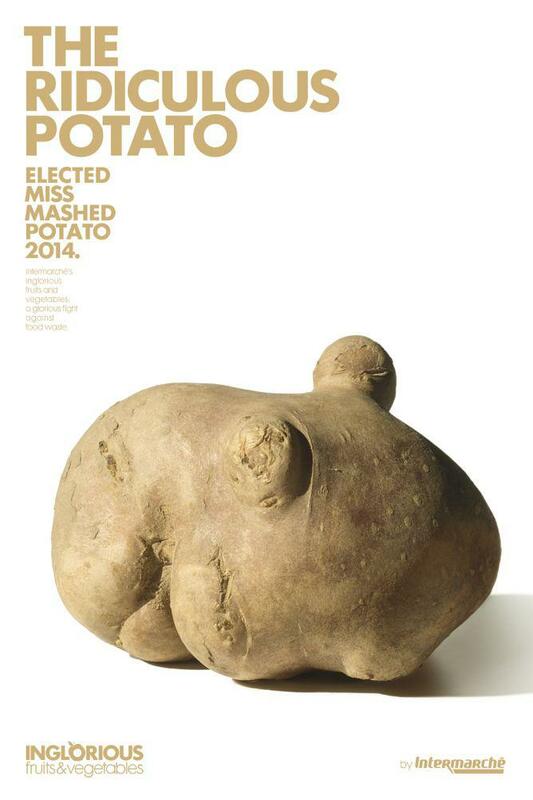 A campaign starring imperfect fruits and vegetables is the winner in the graphics category for Design of the Year 2015 from London’s Design Museum. 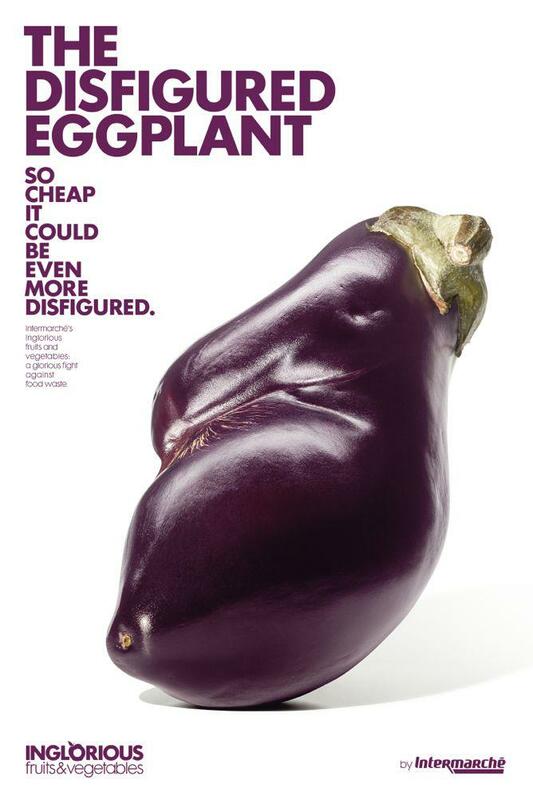 To help raise awareness about food waste, Inglorious Fruits & Vegetables uses clean graphics and brightly lit photos that celebrate the imperfections of ugly carrots, grotesque apples, disfigured eggplants, ridiculous potatoes, hideous oranges, and unfortunate clementines. 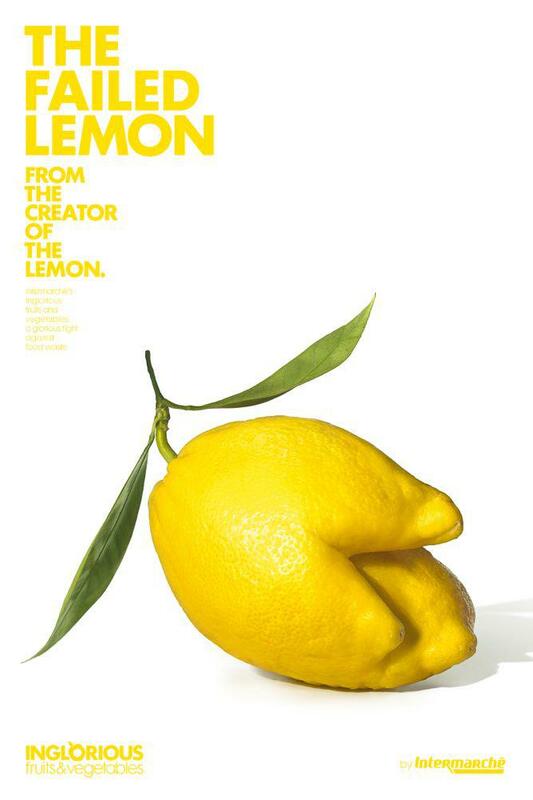 Created by Paris agency Marcel Worldwide for France’s third largest supermarket chain Intermarché, the campaign sought to raise awareness of Europe’s 100 million metric tons of wasted food every year; worldwide the figure amounts to one-third of the food produced for human consumption, or 1.3 billion metric tons. The supermarket bought imperfect produce that is normally thrown out at a 30 percent discount from growers. They gave the fruits and vegetables their own aisle and prominent displays, included their pet names on receipts, and distributed soups and fruit juices made from the inglorious produce to quell any fears that the seemingly Frankenstein fruits and vegetables were any less delicious than their comely counterparts. The ugly produce sold out, and the campaign, which ran last year during the EU’s Year Against Food Waste, has captured imaginations and spurred copycat initiatives far and wide, including Canada’s largest food retailer and Oakland-based startup Imperfect, which plans to launch in July.